ONE OF THE GREAT JOYS of living in the foothills, in a mountain town or close to a wilderness area is that nature is quite literally on your doorstep. But too much nature – like a 400 pound grizzly bear – in your yard is alarming, can cause expensive damage to property, and is potential dangerous to you, your family and your pets. Here are some simple things you can do to reduce your chances of a bear encounter at your home and in your community. Remember to secure attractants that bring bears into area such as bird feeders and dog food. Secure attractants such as garbage and livestock feed with bear resistant containers. To view a list of certified bear proof products, click here. Consider electric fence to prevent bears and other wildlife from accessing livestock and livestock feed. 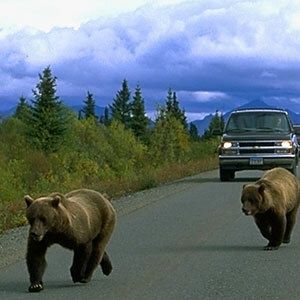 Bear Conflict Solutions has provided financial support to assist landowners that are experiencing problems with bears. Reporting any sightings and activity of bears early so that bears who are on your porch or backyard don’t end up causing property damage while trying to get into your shed where food is stored. Improve sight-lines on your property so that you can see bears coming (and they can see you). Here are some examples of communities doing their part to try and live with grizzly bears and other large carnivores. 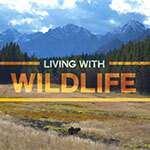 Living with Carnivores: Boneyards, Bears and Wolves from Alpenglow Press Productions on Vimeo. Bear Conflict Solutions has been working with landowners and other interested parties including Alberta Bear Smart, SALTS, and the Waterton Biosphere Reserve. BCS has provided expertise and financial support toward over half a dozen workshops to ranchers and acreage owners in southern Alberta over the last few years. One of the key results stemming from these workshops is the recognition that bear spray can be an effective tool during interactions with bears and other wildlife. Click to view this report about Efficacy of Bear Deterrent Spray. Watch Sharing the Range – A story about the challenges of living with large carnivores, and how people in the Waterton Biosphere Reserve are meeting those challenges.